Why Do I Have An Obsession With DART Trains? Maybe it’s because, as a kid, I loved trains. Maybe it’s because I never lived in a city with a decent metropolitan transit system. Maybe I just liked the idea of reducing the need for so much traffic throughout the Dallas/Fort Worth Metroplex. Maybe it’s because our transit system is so bike friendly. Whatever the reason, I enjoy living in a city that has a commuter train system. I remember the first time I saw a DART train at the Texas State Fair back in 1995. DART was showcasing them before the launch in 1996. My wife (fiance at the time) couldn’t understand why I had to get up close and walk through it. I couldn’t explain it – I was just captivated. Ironically, before the DART Rail launched we moved out of state for a year. Even when we moved back, we ended up in Arlington for a few years – well outside of the DART Rail‘s reach. Eventually, this changed when we moved to Richardson in 2003. 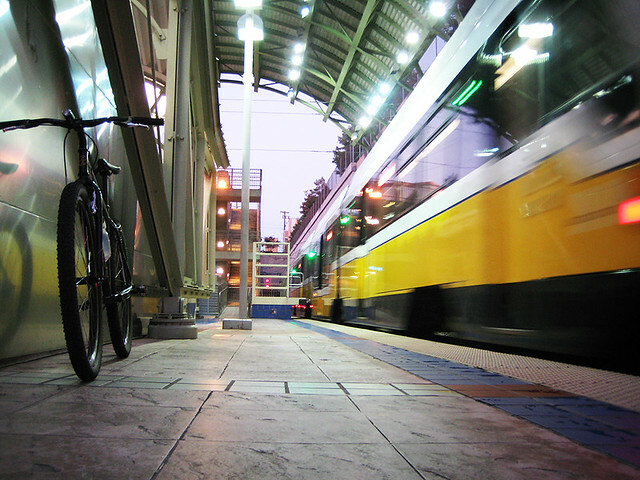 Richardson has the DART Red Line running through it with 4 stops, heading into Dallas. Unfortunately for me, I don’t work in Dallas or anywhere along the DART Rail. To this day, a train commute is not an option. I am still obsessed with the idea of the DART Rail, and I still love the sight and sound of the train running through my town. I do take a ride from time to time – even with my bike. Here are a few pics that I’ve collected of everything DART (click on any of them to see the complete set). The biggest reason that I don’t ride the train more is convenience. The DART ticketing system still works with cash only, and I rarely carry cash when I ride. – Allow debit/credit cards at your ticket terminals. – Set up a DART card system, similar to a Starbucks Drink Card or a Toll Tag, where folks can keep a balance and use it towards rides, whenever they need it. A monthly pass doesn’t make sense for folks like me who don’t commute. 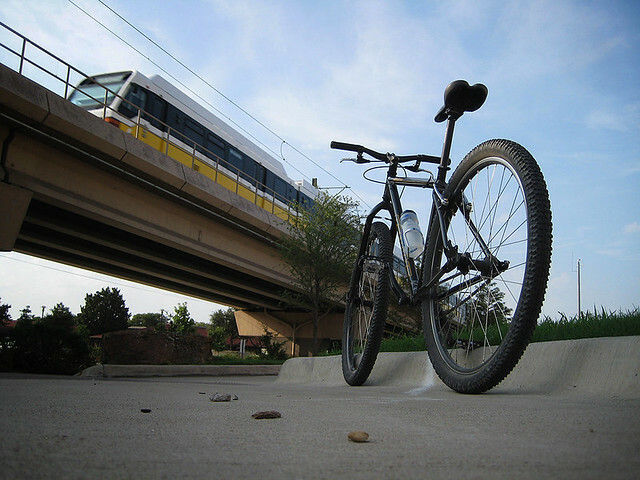 – Complete a trail system along the entire rail line throughout the Metroplex. DART does allow debit/credit cards at their ticket terminals. All the new stations have the capability to accept debit/credit cards for payment, and they’re retrofitting older stations on some sort of a schedule. All the Downtown locations have the new ticket terminals. Great idea on the rechargeable non-expiring ride card. I’m not so sure about the trail system along the rail line. In some areas, of the Red Line at least, the trains can get up to some fairly high speeds. 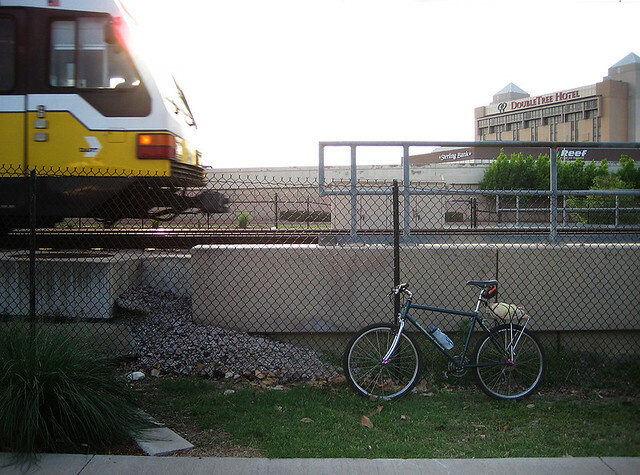 Without some sort of barrier between the cyclists and the trains, there could be safety issues. Additionally, the rail line through the tunnel & Downtown isn’t very bike friendly. GREAT NEWS on the debit/credit cards! I’ll have to check my local station for the update. As for the trail along the rail goes, I was more referring to a trail that mimics the rail’s routes, not necessarily right next to it – similar to what they’ve done (and continuing to do) in Richardson. I guess the tunnel part can be matched matched up up with some surface route (like the Katy Trail). One other thing I missed on my wish list is to have some of the stations near my house (in Richardson) become better destinations with nearby shops and markets. 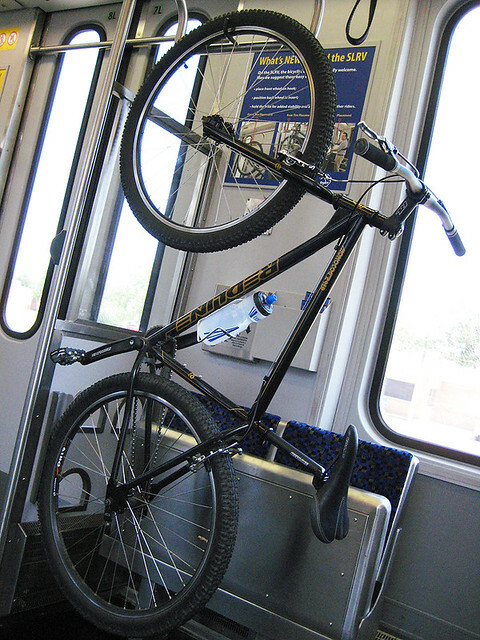 I don’t ride the DART much but I do ride the TRE. I love it and I bet DART is fun to ride also. Here is my suggestion. When the train stops, you have very little time to figure out which door access the “bike friendly” part of the train. It would be great of the cars were clearly marked with a “bike” emblem to indicate the more bike friendly spots in the cars. Has this been done and I’m just missing it? what are those half circles for on the train underneath the bicycle above? I’ve wondered that myself. I honestly don’t think they’re bike related.